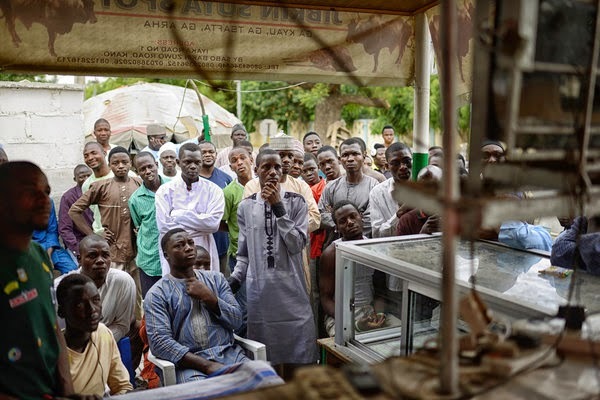 The people of Nigeria have spoken and voted in a new president, ousting Goodluck Jonathan in an election marred by Islamist insurgency, inequality, and corruption. Nigerians on Tuesday by a wide margin chose former military ruler Muhammadu Buhari, according to election results reported by The New York Times. The election was the most competitive one in the country's history, in one of the largest democracies in the world. If power is handed over peacefully, since Jonathan conceded the race by telephone call, it will be a major shift for the nation that spent much of its post-colonial history shaken by military coups, The Times reported. 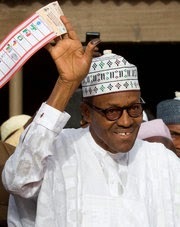 Buhari defeated Jonathan getting nearly 55 percent of the vote to Jonathan's 45 percent. Nigeria has been governed by the People's Democratic Party since the end of military rule in 1999. Jonathan publicly thanked Nigerians for the opportunity to lead them, and kept his word to deliver "free and fair elections." "Nobody's ambition is worth the blood of any Nigerian," Jonathan told The Times. "The unity, stability and progress of our dear country is more important than anything else." The people celebrated in their neighborhoods because Buhari has been very popular in much of the country. There have been frequent attacks in Kano by the Boko Haram militant group, which kidnapped hundreds of women and girls and slaughtered thousands of Nigerians over the years (1.5 million have been displaced in Nigeria and adjacent countries). Under Jonathan's watch, Boko Haram's insurgency affected the country's economy, oil prices have fallen, and corruption scandals tarnished the president's image, The Times reported. Buhari vowed to fix the country's budget and tackle corruption as vigorously as he did when ruling Nigeria two decades ago. Buhari swept the capital Lagos, competitive states in the north, center, and southwest parts of Nigeria, including Kano, the second-largest city. People were wary of election corruption because military intervened and caused the electoral commission to delay the vote for six weeks. "People need to feel safer. After that, corruption and jobs," Ibrahim Sanusi, 24, a civil servant told The Times. "We need peace of mind. That is what the government must provide."